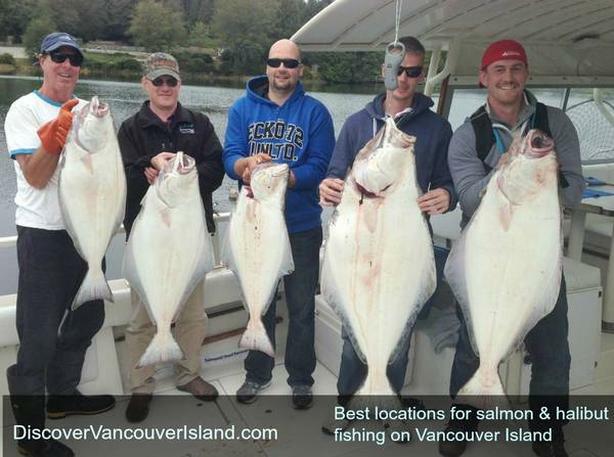 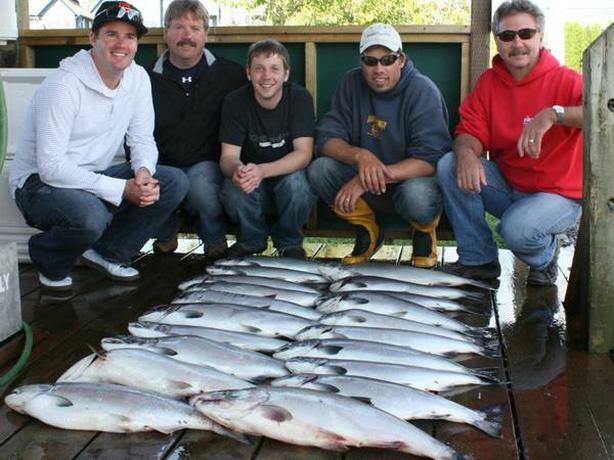 Check out www.discovervancouverisland.com/guided-fishing-trips/ to 2-6 day packages including fishing, vacuum packing and freezing, accommodation or all inclusive trips that include everything including flights in. 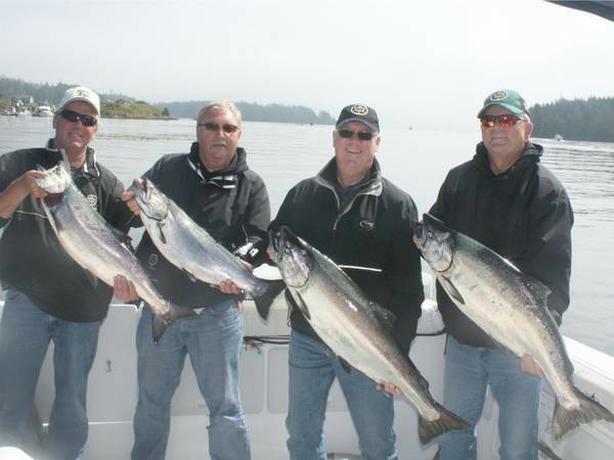 Fishing happens all winter out of Victoria and then guides start fishing Ucluelet in March and Haida Gwaii in May. 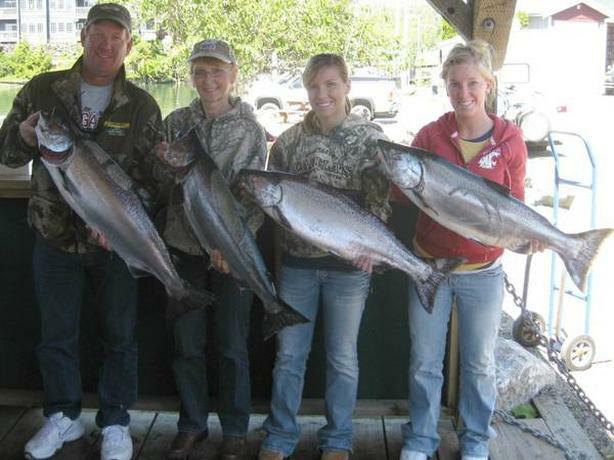 All of these places produce both Chinook salmon and Halibut. 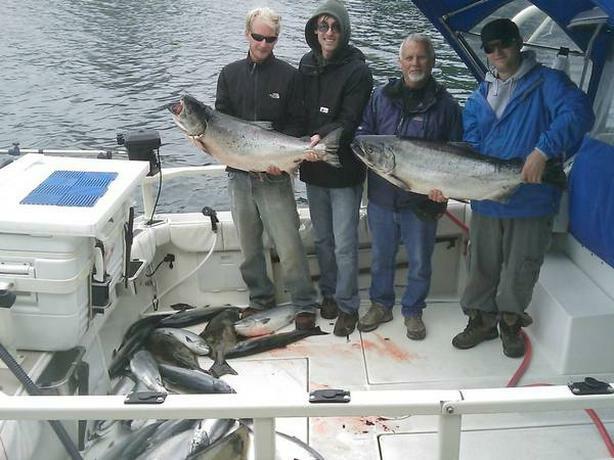 Come out for your seafood feast. 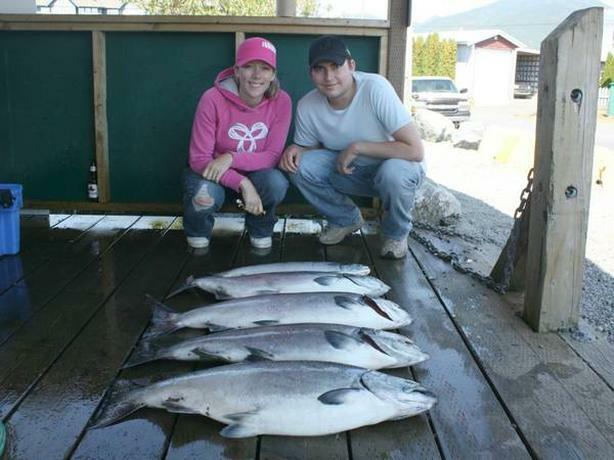 Check out http://www.victoriabc.ca for things to do in Victoria.